Katey Stone diagrams a play for her athletes. The Harvard pipeline to the Winter Olympics this February goes straight through Bedford, Massachusetts. 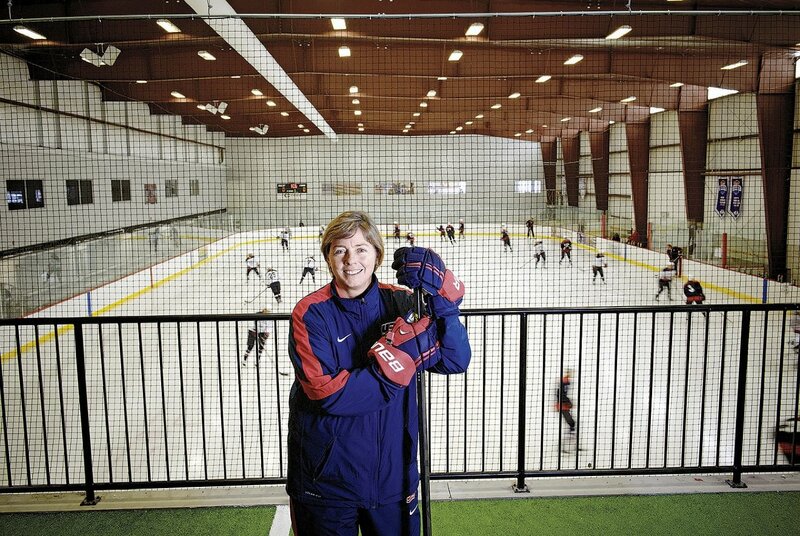 That’s where the U.S. women’s national hockey team set up its training facility: 25 athletes, including five who have played at Harvard, took up residence there in September to train at Edge Sports Center in preparation for the Sochi Games. The Harvard candidates are Julie Chu ’06, Michelle Picard ’15, Josephine Pucci ’13 , Kate Buesser ’11, and Lyndsey Fry ’14; the mentor in charge of shaping these athletes into the 21 players of the Olympic squad (to be announced January 1) is Landry Family head coach for women’s ice hockey Katey Stone. Though she has been in charge at Harvard for 19 years and has won more games than any other coach in the history of Division I women’s hockey, she calls this moment “the pinnacle” of her career. In Stone’s first season, the nascent Crimson surprised Northeastern, the era’s dominant team, by winning the Beanpot. There followed three lean, learning years. Then came 1998-99, a magical 33-1 run to a national championship, and Harvard hasn’t had a losing season since. Soon enough, word-of-mouth became Stone’s top recruiter. Stone was born into a family of coaches; her father was the longtime football and baseball coach and athletic director at Taft School in Watertown, Connecticut, and her three older siblings are all coaches, too. The Stones lived on campus, an endless playing field for Katey, who ran from one sport to the next as fast as she could. “She was just a fireball,’’ says her older sister. 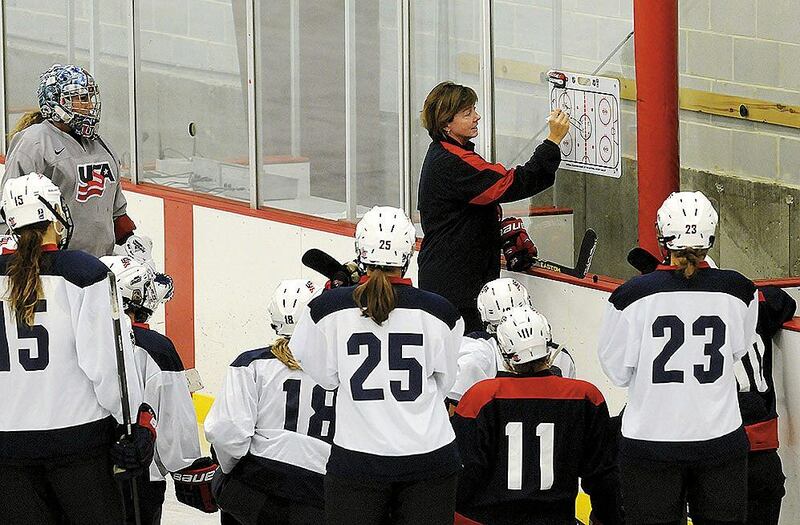 “She’s strong; she has confidence in what needs to be done as head coach,’’ says Carey. “And she’s competitive, whether it’s on the ice getting the team together or off the ice in a friendly game of whatever.’’ “Whatever” includes the word game Taboo: Lauren McAuliffe ’04 remembers an endless round played at the back of the team bus because Stone refused to quit until her team was winning. The teams Stone put together for bowling competitions always won, too. Barbara Matson ’75 is a freelance writer in Dedham, Massachusetts.